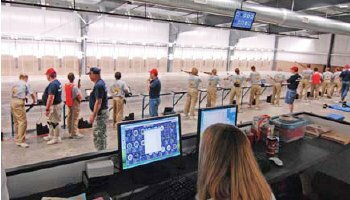 On November 15, 2008, the Ohio National Guard and the Civilian Marksmanship Program (CMP) will host an Open House at the newly completed Camp Perry indoor shooting facility. All shooters and interested persons are welcome. You can even test your marksmanship skills on the CMP’s new Olympic-style electronic targets. The new, state-of-the-art Marksmanship Center features the Civilian Marksmanship Program’s 80-firing point, 10-meter electronic target air rifle range. Visitors can participate in a free match with a chance to win a turkey, courtesy of the CMP. 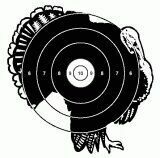 Every half-hour, the lucky participant who shoots the best center-shot on the 10-meter targets will take home a Thanksgiving turkey just in time for the holiday. Visitors will be treated to hot dogs and refreshments and will have an opportunity to watch Beijing Olypmics shooting videos and purchase CMP sales items. The Marksmanship Center also features the National Guard’s Engagement Skills Trainer (EST), a marksmanship simulator used for both military small arms and crew-served weapons. The Ohio Army National Guard will give demonstrations of the EST and allow visitors to take part in the training, which involves interactive viewing screens (like a life-size video game). Camp Perry is located approximately five miles west of Port Clinton on Ohio State Highway 2. For more info, call (419) 635-2141 or go to www.odcmp.com and click on the OPEN HOUSE icon. Share the post "Camp Perry Open House at New Shooting Facility"
Has Hunting Become Too Easy? Barta Sounds Off. 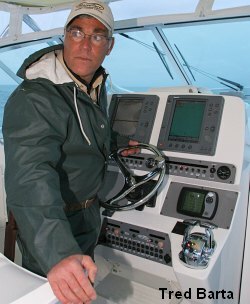 Tred Barta is a well-known hunter and angler with a television show on the VERSUS cable network. Barta has strong opinions about modern hunting methods — he thinks they have made things too easy, so the ethos of hunting has been lost. Modern hunting aids have transformed a noble pursuit into mechanically-aided harvesting. Barta wants hunters to return to simpler methods — to earn their trophies the hard way. 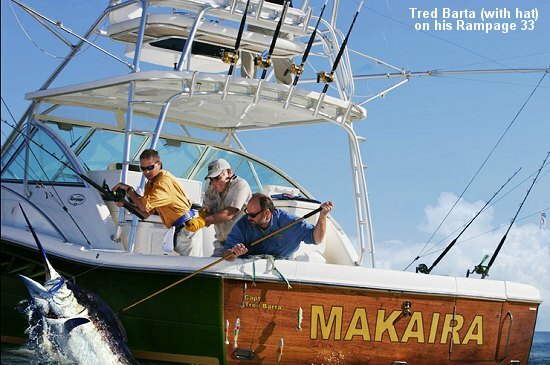 As a fisherman, Tred has set several world records. He has caught more tuna on rod and reel than any other man alive. Tred’s motto is to do things “the hard way, the Barta way.” He believes that the pursuit can be as meaningful as “bagging the trophy”, so he avoids using modern gear such as game cameras and feedstands. 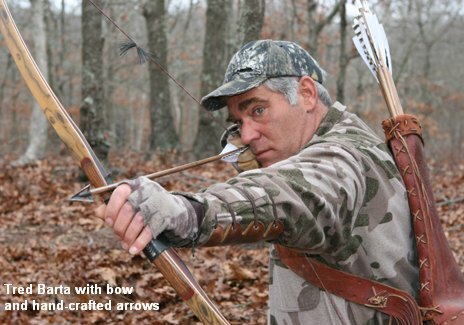 In fact, he usually hunts with a longbow and homemade cedar arrows. Hunting Should be Simple, But Not Fishing? Barta’s views on hunting appeal to those who want a return to the “simple ways”. We agree, in principle, that hunters should learn the skills of the stalk and “work for their prey.” Part of the core experience of hunting is the “walk in the woods” and the age-old challenge of out-witting a wild animal. So, there is merit in Barta’s message. While we’re sympathetic to Barta’s philosophy, we don’t think going all the way back to bows and arrows is the answer for everyone. Barta acknowledges that he fails to harvest an animal 70% of the time he hunts. That may be fine for Barta, who gets paid to hunt where-ever and whenever he wants, but for the “regular Joe” who has saved his hard-earned dollars for a once-in-a-lifetime Alaskan hunt, it makes good sense to use equipment that improves the odds of success. Should a hunter carry an inaccurate rifle, or leave behind the binoculars, just to increase the difficulty factor? We don’t think so. That’s no knock on the bow-hunters or those who prefer to hunt as native Americans did. We just think that one can remain true to the “hunting ethic” even when using modern equipment. Share the post "Has Hunting Become Too Easy? Barta Sounds Off."